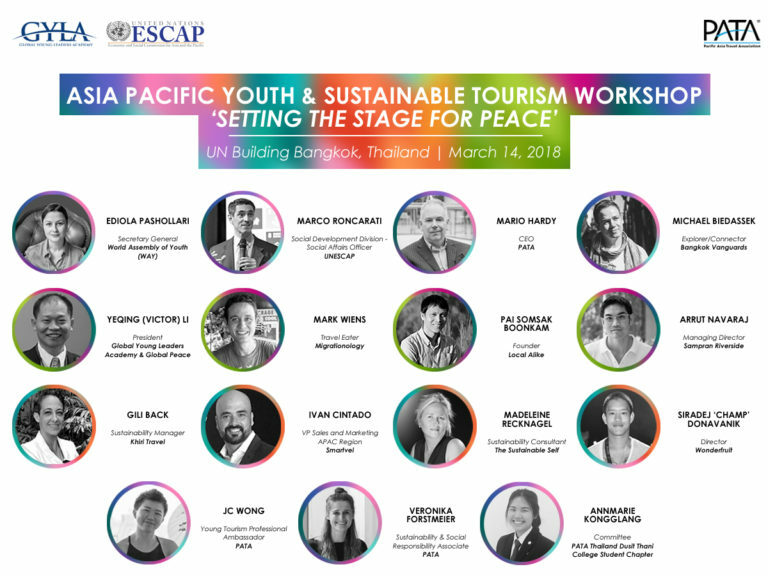 BANGKOK, 2018-Feb-08 — /Travel PR News/ — The Pacific Asia Travel Association (PATA), supported by the Global Peace Foundation and the United Nations Economic and Social Commission for Asia and the Pacific (UNESCAP), will organise the Asia Pacific Youth & Sustainable Tourism Workshop on Wednesday, March 14 at the UN Building in Bangkok, Thailand. This entry was posted in Business, Festivals and Events, Tourism, Travel, Travel Education & Courses, Travel Marketing, Travelers and tagged Asia Pacific Youth & Sustainable Tourism Workshop, Bangkok, Dr. Mario Hardy, PATA, thailand. Bookmark the permalink.